This is our favorite beach and the best location for weddings! St. Pete Beach Florida, located on a peninsula at the southernmost end of Pinellas County, is the home to the world famous sand sculpting competitions and is one of the best locations for a beach wedding. With dolphins playing and sail boats cruising in the background, this location makes a picture perfect place to celebrate your wedding, vow renewal, commitment ceremony or elopement. With a wide variety of hotels and resorts on St. Pete Beach for you and your guests, we are confident you will find one you like. The Pink Palace or the Don Cesar Beach Resort mark the entrance to Pass-a-Grille Beach. Clearwater Beach has long been known world-wide for it’s white powder sand and tropical warm weather. With so many activities to take part in, along with the abundance of restaurants and nightlife, Clearwater Beach can be a great place for a young couple or a family with children to celebrate their wedding, vow renewal, commitment ceremony or elopement. Clearwater Beach is very wide and tends to be busy by the shore line. It is best to have the wedding closer to the beach entrance and beautiful sand dunes. Your photographer can take you to the shoreline afterwards for more photos by the water. We recommend a morning (prior to 11am) or a sunset time frame for these locations. Treasure Island is one of our favorite choices for beach weddings and perfect for all couples. Sunset Beach is located in a residential area, so there are no hotels to crowd the beach. It does not have public vendors, renting chairs and umbrellas, to restrict the beach. Sunset Vista is one of our favorite beach-front hotels for weddings. You must stay at Sunset Vista’s Beach-Front Resort to have your beach wedding, commitment ceremony, vow renewal or elopement wedding here. The best reception location on Treasure Island is the Lions Club Beach Hall, located directly on the beach. Indian Rocks Beach, Florida got its name when a native medicine man miraculously healed his chief with the waters from a natural rock-surrounded sulfur spring located across from Indian Rocks Beach City Hall. Now Indian Rocks Beach is a thriving community that has maintained most of its original character, and supports a lively mixture of recreational activities. From its Nature Preserve, to its parks, t oits sandy shores, you’ll find a smile on every face, and a warm Florida welcome with everyone you meet. Compared to Clearwater Beach, Indian Rocks Beach feels more relaxing and stress free. No paid permits required for weddings at Indian Rocks Beach, which should be taken into consideration for budget minded brides. Redington Beach is mainly a residential and condo resort community. It has a few public access points for your beach wedding, vow renewal, elopement or commitment ceremony. Located between Clearwater Beach and St. Pete Beach, Redington Beach’s central location make it convenient to much the area’s best reception locations and hotels. Redington Beach has limited parking, so smaller weddings are suggested. You and your guests can catch a deep sea fishing charter at Hubbard’s Marina for a great day on the water. Don’t forget a hat and suntan lotion! Madeira beach is located between Clearwater Beach and St. Pete beach. John’s Pass Village is a popular spot and is a fun place to visit, with its unique shopping district which overlooks John’s Pass. Most access points on Madeira Beach have limited parking, so smaller weddings are suggested. John’s Pass is the seafood and grouper fishing headquarters of Florida. The beaches located in Sarasota County, Florida are known world-wide for having sugar-white sand and breathtaking sunsets. 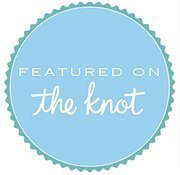 You’ll most likely see a beach wedding, vow renewal, elopement, or commitment ceremony almost every day of the year. Voted one of the top ten beaches consistently, Siesta Key’s beaches have endless stretches of white sand along the blue waters of the Gulf of Mexico. It’s perfect for romantic strolls along the beach and enjoying the beautiful sunsets. The Manatee County, Florida Beach of Anna Maria Island is known as the “Wedding Capital of Florida”. It is a barrier island on the coast of Manatee County and is bounded on the west by the Gulf of Mexico, and on the south by Longboat Pass, which separates it from Longboat Key. On the east by Anna Maria Sound, and on the north by Tampa Bay. Anna Maria Island is approximately seven miles long, north to south. We specialize in beach weddings, commitment ceremonies, vow renewals or elopement weddings here. Our Tampa Beach locations are designed for couples located in Hillsborough County or flying into Tampa International Airport (TPA) who may not have time to make the trip to one of the Gulf Beach Locations for their wedding. Not quite as nice as the beaches located in Pinellas County, you will still be able to have your beach dream wedding, vow renewal or commitment ceremony with your feet in the sand. A paid beach permit is required for these locations. As a registered provider with the parks department, we will obtain beach wedding permit for you.